This is your Start to Building an Epic Business, Productive Teams, and a Profitable Organisation by Developing, Empowering and Investing in Your People, Driving Innovation, Improving Performance, Activating Purpose Led Transformations, and Creating Sustainable Value Driven Products and Services. 1. Game changing consultations with shareholders, managers, departments, teams or clients. 2. 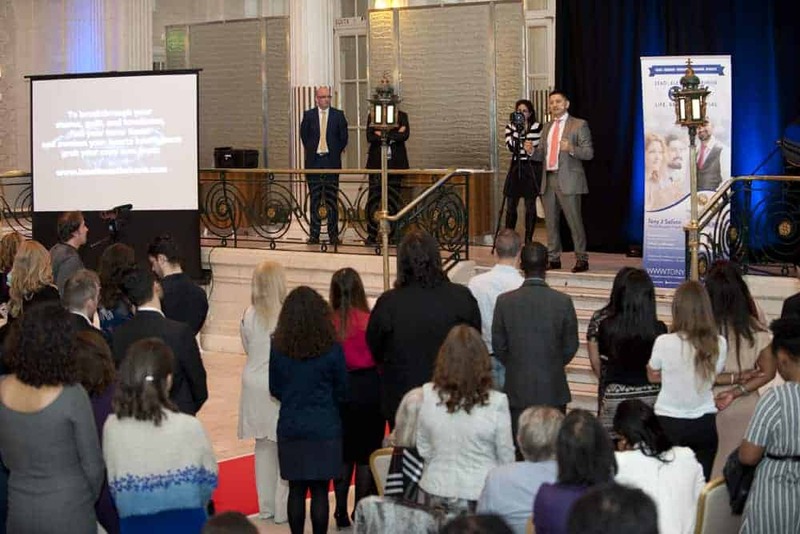 Keynote speeches for your corporate events, breakfast meetings, lunch or evening functions. 3. Custom designed training, workshops and seminars addressing specific corporate needs and objectives. 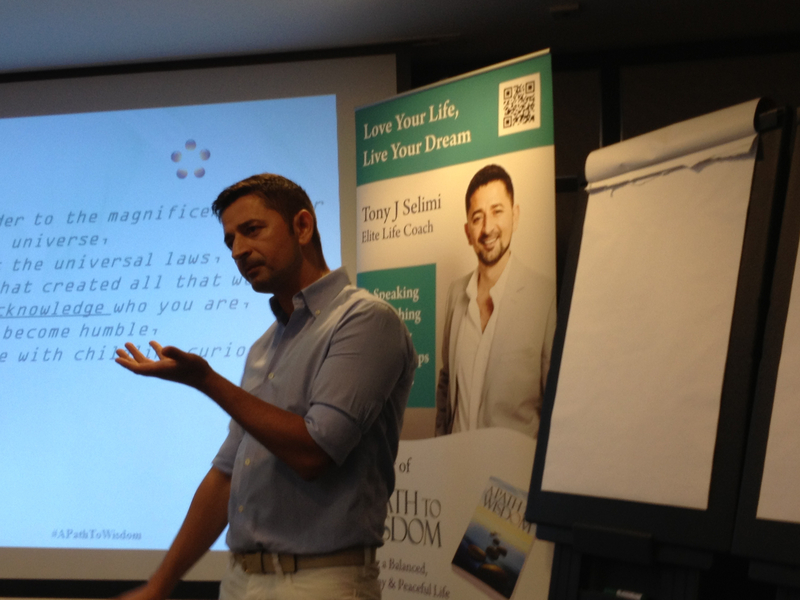 Consult Tony J. Selimi to speak at your event and let him illuminate your audience with his broad business knowledge, spiritual wisdom, presence, and his inspirational story of survival, struggle and unprecedented life and business success. For those companies that want to develop epic leaders at every layer of the organisation, improve team performance, and the overall organisational well-being, Tony has developed a framework of five steps that when followed, empower people, improve communications, and activate purpose led transformations across the entire organisation. Tony embedded these steps and established TJS Corporate Solutions to help Senior Executives, Team Leaders, Departmental Managers and Employees address problems at the root cause and teach them how to use the conscious principles of the TJS Evolutionary Method: ALARM™ to cope better with stress, pressure, and high demanding environments. They learn Tony’s proven mindfulness techniques to improve their focus, decision making, communication skills, trust, energy levels, and leading to a more healthy, balanced and fulfilled life. Using the twenty-five principles of the TJS Evolutionary Method: ALARM™, he helps companies resolve conflicts, improve processes, increase profits, unleash productivity through the power of inclusion, diversity and equality. Tony can support you by teaching you how to successfully aligning company and shareholders values with employees in the organisation, develop your leaders and improve your team’s performance, re-awaken and activate a sense of purpose and drive within the corporate culture. 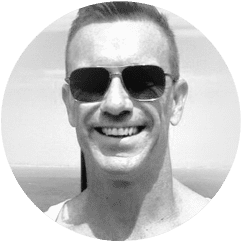 Tony is known as The See-Through Coach by his numerous clients as he sees through the issues that stop many companies effectively solve people, leadership, and organizational problems and turns those challenges into easy to implement solutions, life lessons and fuel for long-term business success. To see what he can do for you, your business and organization get in touch now to book two hours, half a day, or a days consultation. 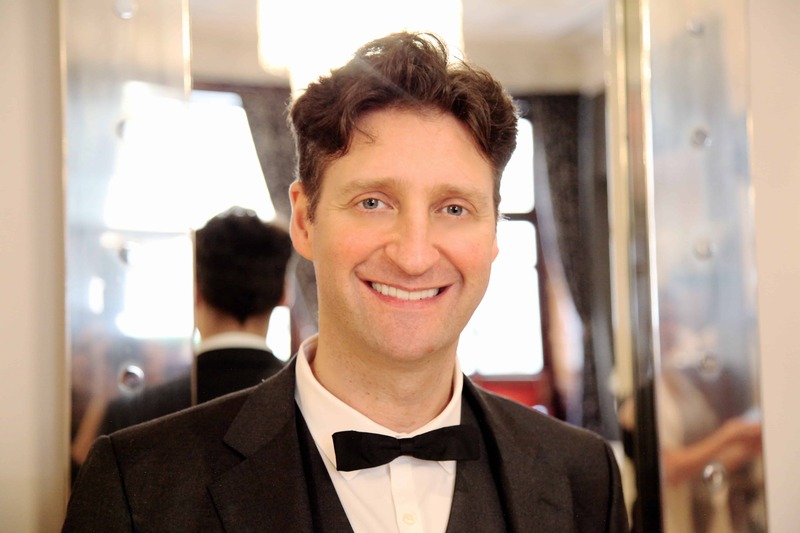 “Tony helped me to take my personal life and my business to a whole new level that I never imagined was possible. Through his integrated business and leadership development coaching programme he helped us resolve key business problems, clarified our values, improved processes, productivity and establish a clear vision, mission, and purpose. It is through his unique TJS Evolutionary Method: ALARM™ that he helped us create unprecedented success across various business functions. Hire Tony as your trusted see-through coach and take your life, people and business from ordinary to extraordinary. Resolve behavioural issues that lead to loss of productivity, performance and profitability. Change attitudes that create fear, distrust, and miscommunication. Build workplace mindfulness, promote equality and diversity. Improve staff retention figures and the overall organisational well-being. Clarify company-wide vision, mission, and purpose. Address low staff morale, conflicts, and overcome anxieties and hesitancies. Establish prime objectives and define short and long-term goals. Improve team dynamics, productivity, and performance. Inspire action in your teams, customers and shareholders. Maximise profitability, activate business growth mindset, and drive purpose led transformations. Resolve deep-rooted problems and help companies breakthrough business plateaus. Dissolve emotional charges that lead to reputation damage, high staff turnover, and absenteeism. Encourage innovation, collaboration, and creativity. Teach how to implement TJS Conscious Relationship, Leadership, and Business Development Principles to drive innovation, growth, and purpose. Tony can design tailor-make talks, workshops, programs and presentations to address your company’s unique needs and offer you specific solutions to realise your organisation’s vision, mission and most important shareholder objectives. Inspire you, improve your business performance and educate your audience with his broad knowledge on a range of topics, wisdom, presence, and his inspirational story of survival, struggle and unprecedented life and business success. Sign up now to receive tips on how to accelerate your personal, professional and business growth and receive a Free Chapter of the award-winning Audio Book A Path to Wisdom! To address leadership challenges, business related performance, productivity, and profitability issues in your organisation. Seminar, or Workshop to know yourself at profound new ways, unravel the truth of ..